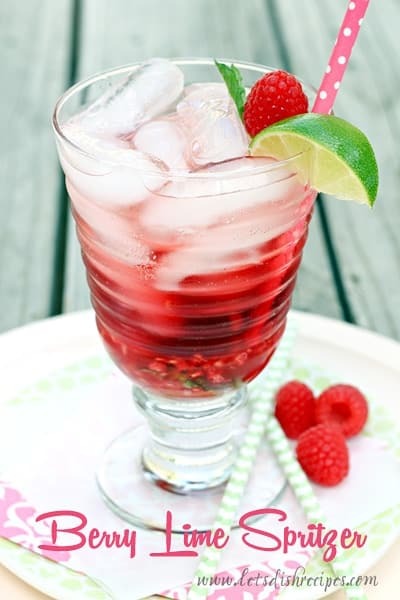 SPARKLING SUMMER FRUIT DRINKS — A variety of fun, fizzy drinks made with fruit juices and sparkling water. The perfect way to cool off this summer! As a mom to three boys, I always look forward to time spent with girlfriends. And like most parents, I look forward to any opportunity for alone time. Even now that my boys are older and can pretty much fend for themselves, it’s nice to take a break from all of the superhero, science fiction, video game action that takes place around here. 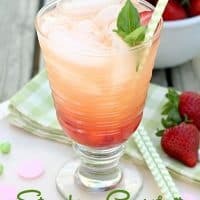 And one of my favorite ways to relax and get away from it all is with a pile of cooking magazines and a sparkling, fruity mocktail, like this Strawberry Grapefruit Fauxjito. 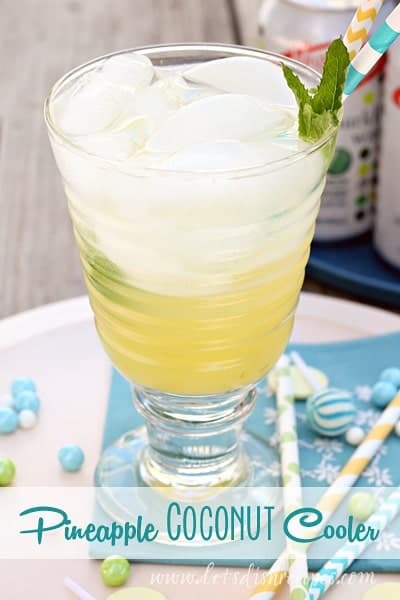 This pretty drink is so easy to make with the help of Vintage Sparkling Water. Vintage Sparkling Waters come in a variety of flavors, including Pink Grapefruit, Lime, Coconut, Lemon, Cucumber Melon and Original. 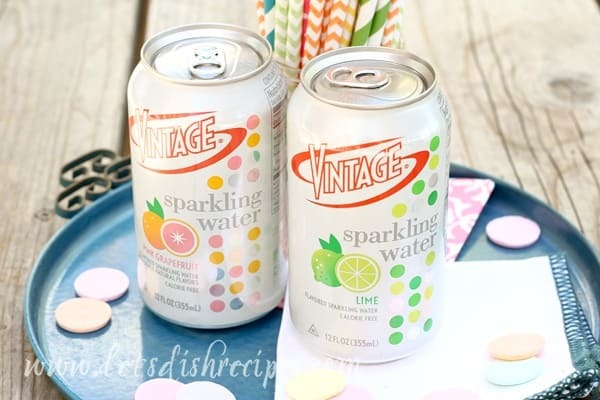 There are so many things to love about Vintage Sparkling Water, besides all the fabulous natural flavors. It’s a fat-free food that is also calorie free, sugar-free, gluten-free, has very low sodium, and contains no high fructose corn syrup or artificial colors. Which also makes it pretty guilt free, if you ask me! A variety of fun, fizzy drinks made with fruit juices and sparkling water. The perfect way to cool off this summer! 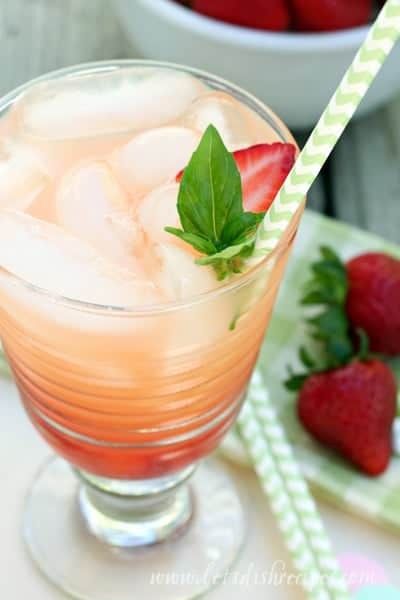 Add sliced strawberries and basil leaves to an 8 ounce glass and muddle with the back of a wooden spoon until you have a thick liquid. Fill the glass about 1/3 full with ice. Fill the glass 1/2 full with pink grapefruit juice then top off with Vintage Sparkling Pink Grapefruit. Stir gently and garnish with a fresh basil leaf, if desired. 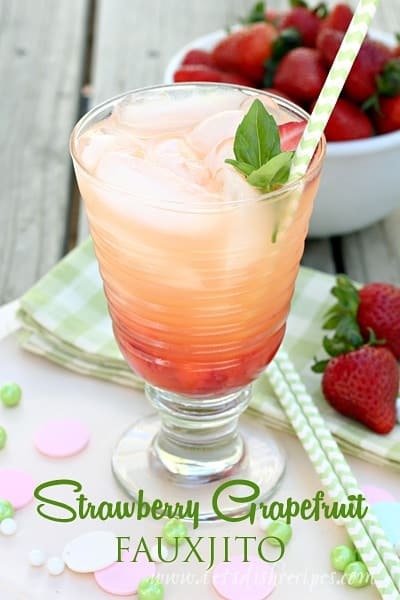 This drink is also delicious with fresh mint and different berries. Which just goes to show you how easy it is to create a refreshing beverage with Vintage Sparkling Water. Just use the recipe above as a guide and you can create all kinds of drink combinations. When I’m not sneaking off for some alone time, I mix up drinks for the whole family. 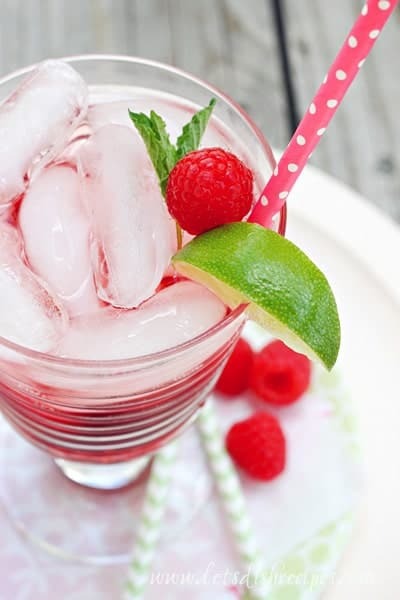 My boy’s favorite combination is raspberries, pomegranate juice, fresh mint and Vintage Sparkling Lime. Of course, it always helps to have a selection of fun glasses and paper straws handy. And my kids are huge fans of those tiny umbrellas. It really doesn’t take much to dress up your drink and give it a little extra pizzaz! 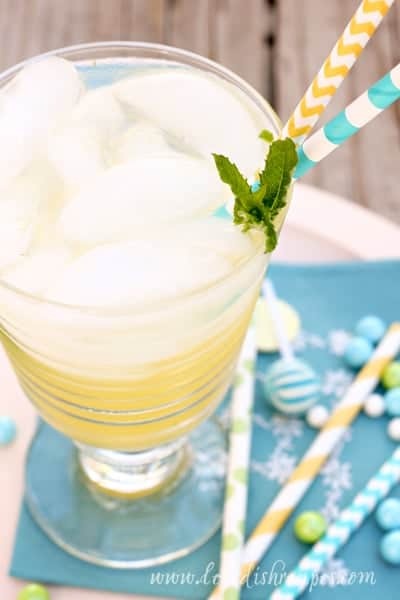 If you prefer something a little more tropical, simply mix equal parts pineapple juice, orange juice and Vintage Sparkling Coconut, then garnish with some fresh mint. The coconut flavor is my absolute favorite, especially if I just want to enjoy a glass of sparkling water over ice. If you like a bit of added sweetness, simply add a teaspoon or so of honey to your drink. I find it works best to add this with the fruit and herbs at the bottom of the glass, before you muddle everything together. I found several varieties of Vintage Sparkling Water on my weekly grocery trip to King Soopers. They’re easy to spot in those pretty, polka-dot boxes! You can use these coupons to save on your next purchase of Vintage Sparkling Water or Seltzer. 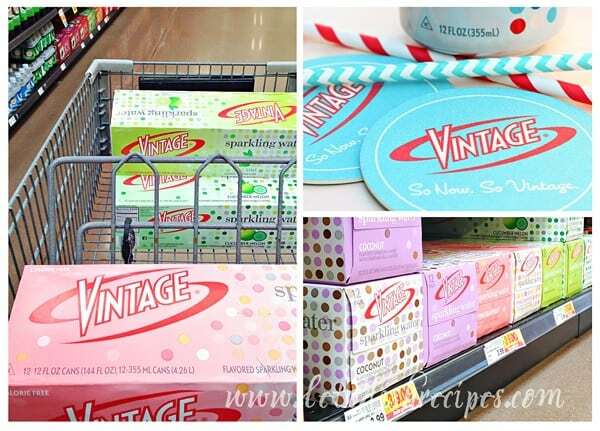 And right now, when you snap a picture of your Vintage drink and share it on Facebook, Twitter or Instagram with the hashtag #DrinkVintage, you may be featured on the Vintage website or receive a coupon! 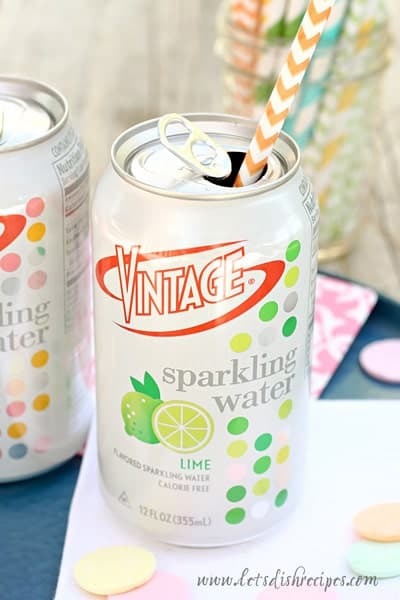 Use this product locator to find a Vintage Sparkling Water Retailer near you. And you can share your favorite Vintage recipe here and be entered for a chance to win $5oo, a 1 year supply of Vintage, weekly Vintage prize packs and a chance for your recipe to be featured on drinkvintage.com. Whether you’re enjoying some quality alone-time, having friends over for a girls night in, or even sharing with your family, there’s a Vintage Sparkling Water that’s right for the occasion. 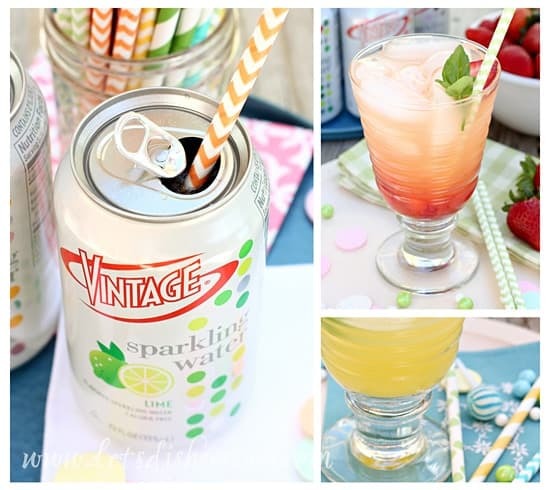 I’d love to hear about which Vintage flavor you would use to create a refreshing summer beverage!